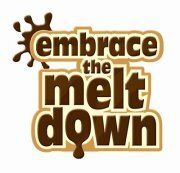 Embrace The Meltdown have kindly given me 3x cases of Mars Thick Shakes and 3x cases of Galaxy Thick Shakes to give to six very lucky winners (1 case per person, assigned randomly). 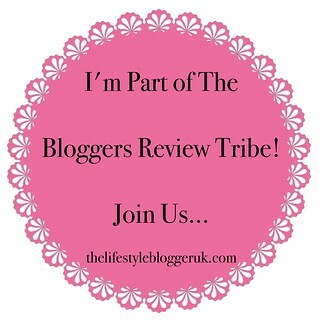 Why not take a look at their website http://www.embracethemeltdown.com/. You can become a fan on Facebook at https://www.facebook.com/pages/Embrace-The-Meltdown/195283337182334 and follow them on Twitter at https://twitter.com/MeltdownMadness. Entry is via the Rafflecopter form below. The competition will be running from 5pm on 1st October 2012 until 4am on 31st October 2012. It is open to UK residents only, aged 18 years and over. Winners will be drawn at random on 1st November 2012 from all valid entries. Galaxy all the way it has such a super smooth and silky taste :D yum! Never tried galaxy, love mars though its so tasty! Galaxy - smooth and delicious ! Galaxy. Prefer the just chocolate taste. Galaxy - the superior choc flavour! Galaxy I just don't like Mars! I love galaxy! Smooth, tasty and delish! galaxy wins hands down, creamy and lush! Mars....I like the toffee and chocolate taste. Mars they have a toffee taste too yum although galaxy ones are yum too. Mars - as a Mars a day helps you work rest and play! I would love the Mars thick shake as I have never tried them but the galaxy is lovely though. Had both - both are lovely - hard to choose! OOOOO hard decision, I'd be happy with either, but I love Galaxy chocolate so seeing you are making me decide thats what I'll pick. Galaxy because I love their chocolate!!! oooh love both but galaxy just edge it! I prefer Galaxy chocolate but I prefer the Mars shakes, they're just sweeter and have a more interesting taste. galaxy, it;s a lovely creamy taste and I'm not keen on caramel so mars is out for me! I love them both but if I have to choose probably Mars is a bit taster. I prefer Galaxy as i'm not keen on the caramel taste in Mars. I prefer Galaxy shakes as I think they are smoother and creamier. Mmmmm love them both but Mars has to win :D YUM! Oh, yum, it's Mars for me. Mind you, I haven't tried Galaxy! Mars are the best shakes by far!! I prefer Galaxy as its a lot smoother & not as sickly as Mars, also I don't like caramel. I prefer Galaxy thick shakes because they taste great. Galaxy as it's my favourite chocolate. I prefer Galaxy as it has a smoother taste and is'nt as sickly as Mars. It's got to be Galaxy for me, so smooth and creamy! Galaxy one - thick and yummy! Mars, they're just delicious and caramel tasting. i prefer the galaxy shake as it's so smooth and creamy and not as sickly sweet as the mars one. mars because its not too plain! Not a milkshake kinda girl but my best friend loves his Mars shakes! Hmmmm,tricky one! Might just go with galaxy at a nudge! Mars, because I love Mars bars! Mars is so yummy and thick. Galaxy all the way! They don't even compare! I like the Mars ones. Galaxy, I love galaxy chocolate yum! They're both chocolate and yummy so I have no preference! I would prefer the Mars because I have already tried the Galaxy one!